VDS on dA celebrates the dark, mysterious world of the Vampire through art. Created by the official VDS MMORPG, only on the Facebook Platform! Welcome to the Vampires: The Darkside group on deviantART! For those of you who just looked us up, it's true that we're a vampire themed MMORPG on the Facebook platform—and as a game, we rock it! But did you know we're also genuinely in love with vampires and art? Speaking for each single Darkside Developer, I can say: We are! So much so that we just couldn't help but to come here and look for loads of killer vamp art to adore with our eyes and engage the many of our players who are as insane over vampire art as we are. We're an open group. You don't have to play the game to be involved, but we do hope you'll give us a try. Your art is not used in our game (we have our own amazing talent behind the scenes). The Developers are here often to look through the gorgeous works and pick their personal favorites. The Darkside Creative team contributes and shares their work here. Our players are here by the blood-load to share their own snarling vamp art with you. Vampires: The Darkside is a 2D, text-based MMORPG on the Facebook platform. Don't let the description fool you... even in a world full of 3D games, the Darkside has a lot to offer! We're packed with amazing, loyal players, tons of social interaction, PvP Combat, interactive characters, advanced strategies, story-based missions, Live Gaming Events, Mini-Puzzles, Legends Boards, comprehensive in-game News and more! The Darkside has something for everyone. If you have an appreciation for vampires, combat, great art, gaming or just want to support our efforts, we'd love for you to join us! Click here to play Vampires: The Darkside on Facebook! We welcome new affiliates. Please send a note to the group to request it. 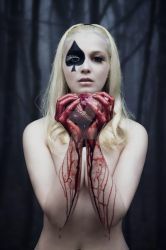 It's best if you are vampire or dark art related group, so our affiliation will be a benefit to our members. Special thanks to wyldraven for unending talent and help in the creation of our branding; to Sinned-angel-stock and b-e-c-k-y-stock for their integral contributions; and especially to mjranum-stock for his amazing inspirational stock art; as well as LawrenceDeDark and his unrestricted stock resource catalog; and to Marker-Guru for her unending help and support! Many others have contributed, and we've created a page in-game of credits and thanks to all! The Darkside is the shadowy delight of thousands of Facebook gamers (with other platforms soon to come), and this group has become a popular haven for the very talented artists who love the game and vampire art in general. 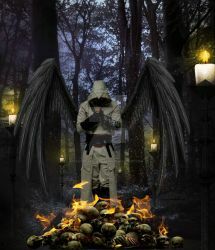 If you'd like to affiliate your group with ours Please keep it Dark art or vampire related! Affiliates should expect that sometimes we will call on you to help us either promote, or give feedback on elements of our group (this relationship goes both ways, of course). Please consider this carefully before affiliating! Click the logo above to find out more about Vampires: The Darkside! 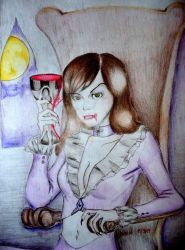 Membership is open to anyone who loves vampires and vamp art. Playing the game is a bonus! Any Member can submit deviations (3 per day), or favs. Thanks a lot for the request, cheers! Thank you so much for the request ¡¡¡. you're welcome! Thanks for sharing your talent!